What would your life be like—if you had no fear? Discover what you can REALLY have this year. Widely-followed career/success coach, motivational speaker, and Harvard-trained lawyer Tama Kieves presents 365 jewels of easy-to-digest wisdom and fire in a format readers will love! Having taught thousands in her workshops, she’s distilled what helps people overcome fear and obstacles; and how to realize and achieve their life’s greatest work and the miracle of inner peace. With her infectious encouragement, presented in easy-to-action five-minute mind-set shifts, she will help you uncover your own astonishing potential every single day. 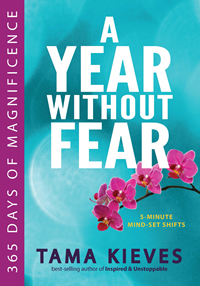 While you’re here, why not check out Tama’s new program: A Year Without Fear: Daily Mindset Shifts — 365 five-minute audio meditations, intentions, and transformations. 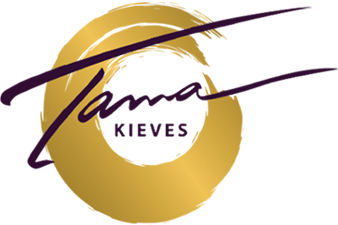 You get this amazing year-long audio program for under 50 cents a day! TAMA KIEVES, an honors graduate of Harvard Law School, left law to help others live their calling. Featured on ABC News, USA Today, and OPRAH Radio, she is the bestselling author of This Time I Dance! and also Inspired & Unstoppable: Wildly Succeeding in Your Life’s Work!